Oh, the mysteries of Costco…the $200 store as many people call it. Does it save you money? Are the deals as good as they seem? Is it worth having a membership? How do you shop there and not lose your entire paycheck? I consider myself to be a bit of a Costco expert. Not only have I been shopping there my whole life (yes, family outings to Costco as a kid were the bomb), but having the brain I do, I've become fascinated with it and have made a point to learn everything I can about it. This has led to my doing several TV segments about shopping at Costco, and even getting personally invited to an exclusive behind-the-scenes view of the store by a Costco GM. Over the years my “How to shop at Costco” posts have gone viral. But yesterday on Instagram I posted a picture of some good deals I snagged at Costco. It led to lots of great questions and lots of interest in Costco shopping. It made me realize that my “Costco Fundamentals” posts are so old, I bet hardly any of you have actually seen them! Thus, today I've compiled below ALL THINGS COSTCO so you can have all the best resources in one place! (P.S. pretty much all of these tips can be applied at most Warehouse stores, but since Costco is my boyfriend, that's who I'm focusing on today.) 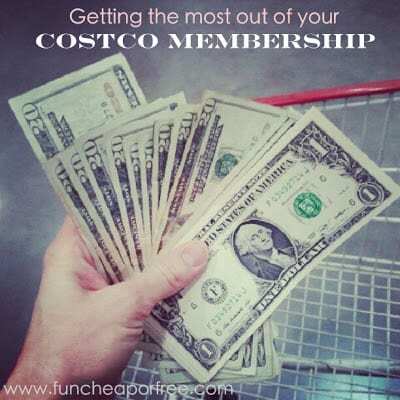 This post breaks down how to budget for Costco, what to buy and what to avoid, how to use their coupons, tricks for getting tons of cash back on your membership, and much, much, more. Hope you enjoy! So below I have listed the things I pretty much regularly buy from Costco. Just for the record…No, I don't always buy these items every time I go. Rather, I buy these when they go on sale, and/or if I'm running low on my supply. I usually always try to keep these items on-hand. And another note, no, I didn't list EVERYTHING here…there are plenty of things that I missed, I'm sure. Dog food – about 1/2 the price of pet stores! Bags of frozen fruit and veggies – They are not only cheaper, but much better than other stores' frozen veggies. Seasonings, and pre-minced garlic – Their containers are HUGE are are much cheaper than other stores!…unless you buy them loosely in bulk, seen HERE. Prescriptions & vitamins – with coupon when possible, but in general they are nearly always MUCH cheaper at Costco! Tip: you don't actually need a membership to buy from their pharmacy. Click HERE for info. Cakes – $17 for their MASSIVE, semi-customizable cakes? Unbeatable. Oh yeah, and they are delish too! Flowers and plants – A friend of mine's folks own a large chain of flower shops. They said that Costco's prices are so good, absolutely no one can compete with their prices. Same with their plants and trees. Nuts – And you can freeze them too, if you don't go through a huge bag of sliced almonds or a big vat of mixed nuts quickly! Printer Ink – you can refill your empty cartridges for $7! (And sometimes they have an additional coupon in their mailer.) I've done this for years and it works great. Gasoline – will save you major $$ over time, and is 3% cash back on your card! Toilet paper and paper towels – The Kirkland brand mainly. It tends to be cheaper, even if a different brand has a coupon. Bananas – Unless I can price-match it cheaper that week. Potatoes – They may not be the cheapest, but they are HUGE and last forever. Strawberries – When in season. They are the biggest and best strawberries EVER. Tip: Rise them in 1 part vinegar, 10 parts water. They will last way longer! Baby formula – Kirkland formula is just as quality as the expensive stuff (it's most likely made by the same manufacturer, actually)…but a fraction of the price! Bagels – Not necessarily always cheaper, but WAY better. I also like the mini bagels for brunches, parties, and mini pizzas/sandwiches for the kids. String cheese – I freeze most of it, and pull a few out of the freezer at a time and keep it in the fridge for my kids. Packing them into lunches frozen is also a great way to keep them fresh – they are perfectly thawed out by lunchtime! Romaine lettuce and bagged spinach – Many times I can price-match the lettuce for cheaper, but the huge bags of spinach are nearly always cheapest at Costco. Fruit snacks / granola bars / some crackers / “snack items” – Nearly always with a coupon. Tortillas – Their bake-at-home ones are basically the most delicious tortillas ever. Salsa – We love their Kirkland salsa. Tip: If it starts to go bad before you can use the whole container, stick the rest in the freezer and pull it out when you're ready to use it! Never let it go to waste. Kirkland frozen lasagna – I usually shy away from frozen, store-bought meals. However, in this case since it's around $10 for two trays (I believe), it's a decent deal. One time I mentally factored the cost of my making lasagna, and Costco can basically do it cheaper! Face lotion / deodorant / razors / shampoo / conditioner – With coupon. Extreme Coupon-ers will gasp at this because you can often get them cheaper with couponing, but I go for convenience since I only buy these 1 or 2 times per year. Postage stamps – When I need a lot of them. They aren't cheaper per stamp, but you don't get slapped with any fees and it's an easy way to buy lots of them at once. Eggs – Cheapest place I've found to buy brown eggs. Canned food – the BIG cans. The small cans aren't the best deal, but the huge cans are! Open them up, divide them up into saved jars, freeze them. Spaghetti sauce, tomatoes, pineapple, whatever it is, just divide it up. Juice – With coupon when possible. Organic items – Costco how has an extensive array of organic items. I'm not much of an organic shopper myself, but if you are, Costco is hands-down the place to get the best deals! Baking items – flour, sugar, sometimes butter and margarine, but I can usually price-match it much cheaper. Photos and other printing – GREAT deals on prints many times. If you buy their picture frames you get 100 free prints included which is killer. Also, they often times have $5 or $10 off photo books in their coupon books. Plants, outdoor equipment, sporting equipment – when in season. Even if it's not the most rock-bottom price, their return policy makes it worth buying there in my opinion! Garbage bags – The big, sturdy black ones – with coupon. Trust me, you get what you pay for with garbage bags! Paper plates, utensils, cups – With coupon. You can actually run their clear cutlery through the dishwasher, see HERE. Hand soap, body soap – With coupon. Rotisserie chicken – Great quick, healthy, cheap dinner idea. Frozen salmon – With coupon when possible. Hamburgers, and foot-long hotdogs – Smaller hotdogs are nearly always cheaper at Walmart, but their Kirkland foot-long ones are to die for. Lunch meat – See HERE for this killer deal I found once. Vegetable oil – I buy the huge container, pour some into a smaller container that I keep by my stove, and keep the huge container in my cold storage. I simply refill it when needed. Applesauce Pouches for my kids (like THIS KIND) which are great for lunches on the go. Those awesome Kirkland chocolate diet drinks (like Slim Fasts kinda). Great meal on the go! Electronics – We bought our nice DSLR camera from there after shopping around for months. It went on sale around Christmas time, so not only was the price good, but their return policy is awesome. BUT…shop around because not all their electronics are cheaper. Giving you an insider's look at how shopping at Costco works! Ground beef – I can almost always price-match it for $1.60 or less, and get the super ultra lean stuff for less than than $2/lb. I stock up like crazy when it's on sale at other stores and freeze it, so I always have it on-hand (I often times cook it up first, put it in 1lb quantities in freezer baggies, and freeze it so it's ready to go for recipes). Costco's is upwards of $2.50 or $2.99/lb. Good quality, but much more expensive. Ground beef is a cheap, fatty meat by nature, and is rarely ever eaten alone. Since it's usually mixed into the meal, why pay a lot?! I save my money for the nice meats. Other meat (roast, steak, etc.) – This is personal preference. Costco's quality is unmatched, but based simply on price, you can get better deals when they go on sale at the grocery store. For me, I'd rather buy good food (and maybe not THE BEST food) and stretch my dollar to get MORE food. But, once again, personal preference. Cereal – They have coupons occasionally, but still more expensive at Costco. Small cans of canned food – It's convenient to have them in a big box of 8 or 10 cans, but price per can is higher than Walmart, especially if you price-match a good deal. Condiments – Condiments go on sale like CRAZY in grocery stores around holidays. Stock up on ketchup, mustard, and BBQ sauce at stores when they go on sale and you'll save way more. Soda – Costco soda may be tempting because of the HUGE boxes, but when you price it out per can, you can almost always find a better deal at your local grocery store when it goes on sale. Plus, soda stays good for a long time so stock up when it’s on sale and hold onto it, rather than buying at Costco. Pasta & sauce – You can typically get 1lb of pasta for $1 (often times much less) on sale. It's usually always more than that at Costco. Sauce you can usually get for $1 per jar (or much less) at Walmart, Costco is nearly always more expensive. I buy cheap pasta sauce and use it as a base to making my own sauce. I make large quantities and freeze it. Much cheaper, and better! Most produce – Once again, personal preference. Costco's produce is awesome, huge, often organic, and high-quality…BUT it's typically more expensive. Once again, I'd rather stretch my dollar and get MORE for my money. There are times when their produce is cheaper, but you just need to learn your prices (see below for more on that). For example, their 3lb bags of spinach is a great deal. And when in-season, their strawberries are competitively priced. They might not be the cheapest, but the size and quality make them a good deal. However, their apples, oranges, grapefruits, grapes, and other produce will cost you a lot more. LEARN. YOUR. PRICES!!!! I canNOT stress this enough! Remember: Just because it's bulk and/or from Costco doesn't mean it's cheaper. I carry around a little “price notebook” with me and mark price per ounce, pound, or ‘price per each' of things. Learning your prices is really the ONLY way you'll save money at Costco. Make it last. If you opt for the huge container of strawberries and they start to go bad, don't toss them! Get creative! Make strawberry spinach salad for dinner. Make smoothies. Make freezer jam. Do what you can to NOT let anything go bad, because you're just throwing money away. My tip? FREEZE. EVERYTHING. If it's on it's way out, freeze it! If it ends up being funky when you thaw it out, hey…at least you tried. This goes for everything – produce, meat, bread, sauces, fruit, buns, milk (yup. freeze it. ), you name it. Buying bulk WILL save you tons of money…unless you only use half then throw away the rest. See some of my creative uses for food HERE. Don't be afraid to store things. Some people might not want a Costco-sized pallet of toilet paper because, well, that's a lot of toilet paper to hold onto! But guess what? It's cheaper. Deal with it 😉 haha. Hide it under a bed, in a rubbermaid bin in your garage, under your stairs. Don't be afraid to hold onto things. The savings are worth it many times! Don't be afraid to return things. Costco has a great return policy! They will take back just about anything. So if you buy the solar lawn lights and they don't fit right in your yard, don't be afraid to take them back. Now, that being said, please don't abuse the system. Returning things unnecessarily or dishonestly (using it with full intention of returning it after using it, for example) only increases prices for the rest of us. No fun-o. Try your best to make it work. If it doesn't, get your money back. The non-food side of the store holds the best deals. Many of us think FOOD when we think Costco. But really, the best margins in price are on the non-food side of the store! Furniture and housewares tend to have the highest markups – anywhere, all the time. But with Costco they will never have higher than a 14% margin on ANY of their products, at ANY time. Thus, they drop the price dramatically to stay within that 14% margin. So cleaning supplies, diapers, dog food, vacuums, rugs, pot & pan sets = all great deals. However, learn your prices and don't impulse buy on furniture and appliances, those are NOT always the best deals at Costco. 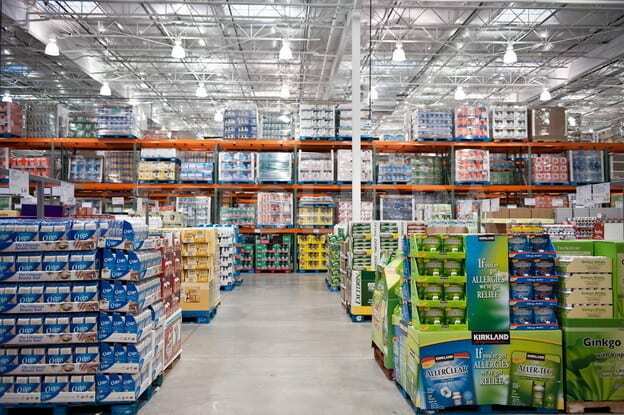 To see a great video showing other great insider tips of shopping at Costco, click HERE. Use Costco coupons wisely and it will make all the difference! USE. THE. COUPONS!! For heaven's sake people, use the coupons! Don't get them? Ask the membership desk. They even have them online many times. When there's a coupon for something you need or would buy anyway (very important) then stock up. Limit 2 on diapers but you only need 1 box? Buy 2. Then go back and buy more. Why? The coupons rotate. So yes, the Huggies coupon will be back, but not for another 2 or 3 months. What happens when I run out of diapers in the meantime? I end up paying full-price…unless I have them on-hand. Make a budget and shopping list and stick with it! If you don't need it, you're wasting money…even if it is a good deal. Be disciplined. Make a budget, make a list, and don't be afraid to take stuff off the conveyer belt when checking out. Use some self-control, people! 🙂 Once again, click HERE for how I work shopping at Costco into my tight budget. Choose your membership wisely. My hubby and I have opted for the Executive Membership vs the Gold Star membership. Yes, it costs more ($110/yr vs $55/yr). But with the Executive Membership you get 2% cash-back on most purchases made at Costco. If at the end of the year you don't get your money's worth out of the membership fee in terms of rewards cash earned, they will refund the difference for your Executive Membership and downgrade you back to the $55 membership. I do about 1/2 my shopping at Costco each month, so we definitely get our money's worth. Note: Purchases that do NOT pay you 2% cash back include: tobacco products, stamps, gasoline (but AMEX does pay you for gas, see below), cash cards, and food court items. See more about this HERE. Cash your reward in full at the membership desk. Did you know you DON'T have to spend your Costco reward at Costco? They would like you to, of course, but you don't have to! Take your reward straight to the membership desk and they'll give you cash for it. Use the cash wisely. The ideal situation would be to cash out your reward and stick it directly toward debt, or put it into savings (or your Slush Fund). If you need to use the reward, try to use only part. See how we organize our money into our bank accounts HERE. For us, the cash came at a great time this month. I really needed to stock up on a few things that I was running low on (in anticipation of baby coming – diapers and such), but didn't have the budget for. I budgeted $100 of my reward to stock up on a few things at Costco. I purchased the $100 in groceries on my credit card, rather than using the cash, so I could get rewards for the purchase from AMEX (see next bullet). We took all the cash, put it toward my credit card bill, and now we're $150 ahead of budget this month! Stack it with AMEX rewards. As you know, I believe in using credit cards. My personal budget is paid for with the Costco American Express card. We chose this card because it's the only card you can use at Costco, and since I do about 1/2 my shopping there each month, it just made sense for us. We get between 1%-3% cash back on all purchases made on my AMEX card. So when I shop at Costco, I get cash from Costco, AND cash from AMEX! Read more about the amex HERE. Or click HERE to find the right card for you.So, once again, the $100 I spent on groceries I paid for with my AMEX rather than using my cash, so I could get the rewards from AMEX too. Pretty slick, eh? If you aren't satisfied with the membership…return it! Hands-down one of the best things about Costco (aside from the $1.50 hot dog and drink combo…) is the incredible return policy. You can return just about anything, at any time, including your membership. You can use it for 364 days and if on the last day of the year you decide you didn't get your money's worth, they will give you a full refund. Please do NOT abuse their return policy (because it only increases prices for the rest of us), but don't feel guilty using it legitimately! I know that most Costco’s, if not all, have stopped having extra coupon books at their warehouses. It has to do with the manufacturers willing to work with Costco and not have too many people abuse the system by getting multiple deals if there was a limit in the first place (for 1 or 2 of that particular deal). If you aren’t getting the booklets mailed to you, you need to go to the counter and get put on the mailing list and by the next booklet release date, you’ll get one! Agreed, the cashiers at ours keep them at the register too. I don’t even bother to bring my coupon book anymore. One an always go online to see the coupons at Costco.com. No need to print them out as they are not needed to get the discount anymore. Costco does have Great deals! Thanks for the info on what to buy. It was very helpful! I agree with most of what you said. We do buy our cereal there though. When the frosted flakes are on sale they’re a better deal than at regular stores (without couponing.) I actually like to buy our ketchup at the Dollar Tree. They have the Hunt’s brand 24 oz containers for a buck- can’t beat that price! I’ll have to check out the lasagna at Costco now though. It’s such a pain but I make it at least once a month when the weather is cool. Great ideas! I learned quite a bit. Costco can be overwhelming and it is hard to know what is a good deal or not. I have my staples that I go there for all the time, but my list just grew. Thank you! Great info! Thank you! I feel like you mentioned before that you buy those applesauce pouches for your kids for special times. I want to get some for camping next week, but want to buy the best brand. Did you mention which brand of those is better? If you did please let me know! Thanks! Yes, I actually buy those pouches from Costco too! I’ll add them to the list. They taste all the same to my kids so I buy whatever brand Costco carries at the time, which is GoGo squeeze at mine: http://www.amazon.com/gp/product/B008UCBCSO/ref=as_li_tl?ie=UTF8&camp=1789&creative=9325&creativeASIN=B008UCBCSO&linkCode=as2&tag=fuchorfr-20&linkId=Z4KECWU7WGCIGZFW. My kids love them! Thanks! I appreciate you getting back to me! I didn’t see you mention nuts or batteries on the list. I think those are both great deals. And you can keep nuts in the freezer so they don’t go bad. AAH! Good call, adding it now! Thanks for the reminder! Sadly, no Cosco nearby. We have a Sam’s club. Any idea if the membership/cash back is the same? You are my GO-TO Costco girl! XO What’s your take on their big bags of frozen veggies? Wondering the price versus the smaller ones at a local grocery store. Thanks! We divide the bigger bags into smaller, food saver bags, takes up less room and lasts even longer, same with cheeses. My husband is a manager at Costco and I have to agree with your list. The only things I would add are toys, whole pizzas and car rentals. Not only does costco tend to bundle their toy packages, but they mark them down if they don’t sell. One year I got my daughter a princess Sofia package that included a plush doll, a princess sofia dress for my daughter, a tiara and jewelry for $20. Last year I got her a cabbage patch doll for $10. Also their whole pizzas from the food court at the best value in town. No where else can we get a multiple topping 18 inch pizza for 9.95. One thing I didn’t see mentioned… Liquor, beer and wine. The Kirkland brand of Liquor is way cheaper and the same quality as higher priced ones like Grey Goose, Makers Mark and Cabo Wabo. We switched to the Kirkland brand and will never go back, plus they last forever because they are the liter size bottles. I haven’t tried their wine yet, but they are the #1 sellers of wine in the country, so they must be doing something right. Correct, thanks for clarifying Amanda! But yes, Alcohol is a great deal at Costco! Wow this was incredibly helpful!! I don’t have a Costco membership but I think about getting one every time I need toilet paper, paper towel, batteries, and even DVDs. But I’m always worried it won’t be worth the membership price. As it’s just me, I’m still not sure it’s worth it bc it can take almost 7 months just to go through paper products so would I really be shopping there enough. But next time I consider it I’ll know that I can take a year to test it out. If, before, my one year is up I don’t think I’ve saved enough money to have paid for the membership I could return it and know for sure it didn’t work. If it does work then I’ve got great savings worth the money. Thank you so much for sharing this. I will definitely keep this in mind! AMEX is no longer used at any Costco. Any VISA will now work but Costco has a deal with Citibank that gives cashback just like the old deal with AMEX. Just use their Costco branded card for cashback at the end of the year. A big thing that you missed was the auto program that gives you a 15% discount on Auto repairs at the dealer o you. You must print out the coupon and give it to them. It includes both parts and labor unlike the coupons from my dealer that were only 5% and didn’t include parts! I saved $350 the last time that I need something big done! do NOT buy any produce at Costco….if not organic it is GMO and /or has toxic processing which makes it “last forever”….real potatoes do NOT lat forever ulness you live where you have a real root cellar and it is cool enough during the winter..
do NOT buy the organics which are grown in MX as the workers there earn a pittance and compete with local farmers.. It is not always about what is cheapest, it is about what is right and proper….buy local, buy organic , right? How do I get that free sample? Interested in free samples. How do Iget them? Free samples for what, exactly? Oh my gosh someone is ripping off my site! Will you please link to the original facebook post where that link was posted? I love shopping at Costco they have great buys if you have a large family and trying to save money. You should do a new follow-up blog post because there are several significant things that have changed. Amex is no longer their card – they are now Visa merchants. You mentioned that you can always find ground beef cheaper at grocery stores – that’s the line where I scrolled back up to see the date on this post LOL. Because ground beef has skyrocketed since 2014 and Costco is almost ALWAYS the most cost-effective place to buy good quality ground beef now. It’s basically the only place I will buy ground beef. other meat cuts – I still agree – pay attention to costs and ads although the quality of meats at Costco is certainly excellent. Yes I need to do a follow-up for sure! Adding it to the list! You can have your pet prescriptions filled at Costco, too. NEVER let your vet fill them unless they will call Costco and price match. My vet’s office charged me $60 for a months supply of my cat’s thyroid medicine…it was $13 for a 90 day supply at Costco! I would really enjoy having free things from Costco. I really do love shopping there get all the things in bulk. Hope that Costco never ever does go out of business. You can save so much money when you buy things in bulk so much money. And the membership is very very reasonable. I’m interested in knowing how you fit Costco into your budget. The link you provided in your post doesn’t work any more (the one that says, “See how I fit buying bulk into that budget here). Thanks! I have $175 per week for groceries (because there are 7 people in my family = $700 divided by 4…) so when I go, I just be sure to only spend $200 or less at Costco! Easier than you think :). I might not be able to get everything all at once (in fact, I rarely do) and I only buy certain things at costco. I’ll buy my groceries at Walmart one week, then won’t need as many groceries the next week so I’ll go to Costco and focus on non-food items like diapers and cleaning supplies. It just rotates! 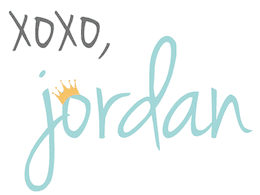 I am new to your site and am LOVING it!! I am trying to find the information for how you budget for Costco and fit buying bulk into your budget and it goes to a page not found. Can you help? Now that Costco has gone away from AMEX do you use the Visa option that they went to? I loved reading this post. It helped me so much in ehat to look for while shopping. I never knew they refill your ink. Game changer! I love February too! The rewards are the best! And rinsing strawberries in vinegar?! Totally trying that! Thanks!! I thougt I knew a lot about Costco, but I learned so much from this post, thanks! And I’m going to start getting prescriptions here, those can be so expensive. Thanks! So many great tips! I had no idea about the picture frames! This has really helped me to better understand what I do and don’t need from costco! Thank you! Love this!! We are getting ready to do our first huge once a month shopping haul and this has helped me with some ideas!! Thank you for the list! My parents buy us a Sams’ Club membership every year, but seeing all of the coupons Costco uses makes me wonder if I ought to switch over. Do you or your team ever do price comparisons between the two stores? I LOVE LOVE LOVE Costco!!! Thanks for the extra tips!!! Such a good post. I’ve always wondered if I’m getting the most out of my Costco membership. I’m convinced now that I am! We will be getting about 130 back this month as well. Amazing guidance! My husband and many of his family members have worked for Costco, we’re die hard fans but I always estimate each item we buy as being $10. Thanks for sharing what not to get too!